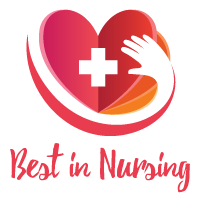 Sharon Pratt Lapkin, Administrator Director and Senior Risk Management at Bon Secours Health System has been recognized as a “Leader in Nursing” among “America’s Best Nurses” for 2017. She will be sharing her knowledge and expertise in Risk Management, Regulatory Matters, Patient Care, and Medical Staff Services. With over twenty-three years of experience in the field of Nursing, Sharon offers valuable insight in her role as the Administrator Director and Senior Risk Management at Bon Secours Health System. Headquartered in Marriottsville, Maryland, The Bon Secours Health System is a not-for-profit Catholic health system that operates in six states primarily on the East Coast of the United States. With over twenty-five thousand employees, Bon Secours Health System prides itself in bringing bring people and communities to health and wholeness as part of the healing ministry of Jesus Christ and the Catholic Church. As the Administrator Director and Senior Risk Management at Bon Secours Health System for over fifteen years, Sharon’s day-to-day responsibilities include mitigating risk, improving hospital safety and keeping staff abreast of changing regulations. Her knowledge and expertise spans to acute care, ambulatory care, physician practices, home health and hospice care environments. Upon receipt of a Bachelor of Business Administration in Corporate Financial Management at Old Dominion University in 1989, Sharon became a Registered Nurse through Sentara Norfolk General Hospital in 1993. In 2000, Sharon earned her Master of Science in Executive Administration from the Medical College of Virginia Commonwealth University. To further develop her professional career, she became a Certified Professional in Healthcare Risk Management. Sharon’s desire to pursue a career in the field of nursing began after receiving her initial degree in Corporate Finance, where she discovered healthcare experience was necessary to practice in a hospital. To gain healthcare experience, Sharon enrolled in nursing school. However, after working in a law firm in her teenage years and during her undergraduate education, Sharon believed she could incorporate her interest in law and nursing into her flourishing career. She became a legal nurse consultant which led to her current position in risk management. Sharon maintains affiliations with the American Society for Healthcare Risk Management (ASHRM), Virginia Society of Healthcare Risk Management (VASHRM); National Society of Medical Staff Services (NAMSS), Central Virginia Chapter Medical Staff Services (CAMSS); and Medical Group Management Association (MGMA). Her commitment to the field of nursing has led to recognition as the March of Dimes 2016 Nurse of the Year Finalist in Risk and Quality. 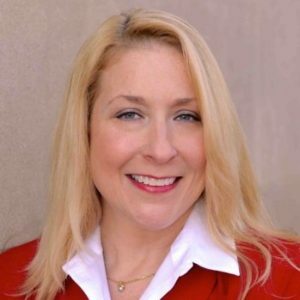 Notably, Sharon held the position as the Vice President of Virginia Society of Healthcare Risk Management (VASHRM). Looking back, Sharon attributes her success to her personal drive and determination to be the best she can be for others, patients, staff and providers. She believes in putting her heart and soul into her job, and, adhering to a high level of integrity. In her free time, she enjoys spending quality time with her two children and venture activities such as zip lining, rafting and hiking. Additionally, Sharon is active at Temple Beth El. Considering the future, Sharon hopes to progress in her current role and obtain her Doctorate. The Mission of Bon Secours Health System is to bring compassion to health care and to be Good Help to Those in Need®, especially those who are poor and dying. The system has nineteen acute-care hospitals, one psychiatric hospital, five nursing care facilities, four assisted living facilities, fourteen home care and hospice services.